Home Good Teaching	ClassroomScreen: You Will Love This Resource! ClassroomScreen: You Will Love This Resource! Here’s a new, quick, fun, and FREE resource that I discovered recently. It’s called ClassroomScreen and it has a very simple purpose. 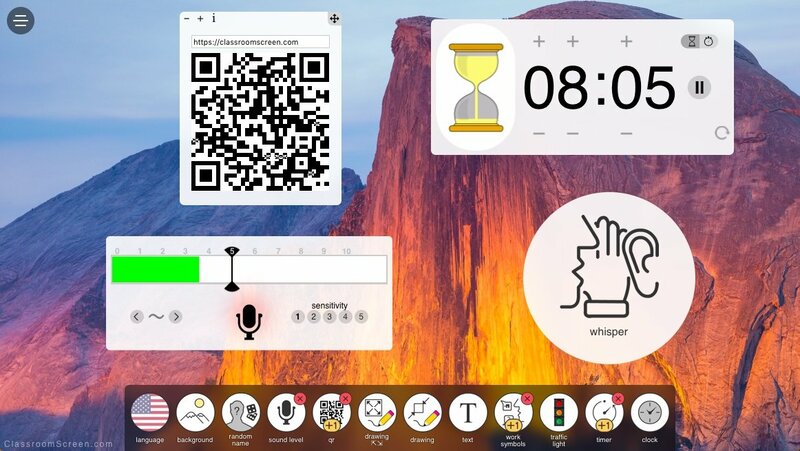 It was created by Laurens Koppers, a teacher in the Netherlands, and is designed for educators to use as a teaching screen in their classrooms. Simply connect your device to a projector, launch a browser, and go to the website. While the Chrome browser is recommended, it works in any browser, even on your smartphone. Once loaded, the site offers first a beautiful background picture that is different every time you open it. 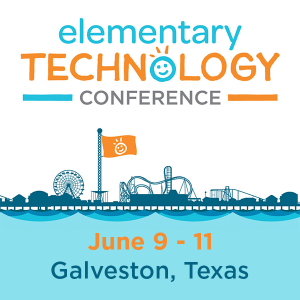 (I could use just that feature alone for so many classroom purposes, from writing prompts to descriptive language to math problems to science or geography facts.) Across the bottom of the screen, though, is where the real power of the site is. Language – Yes, you can have the content in a multitude of languages. Background – This tool lets you select from a wide variety of stunning images or upload your own. You can even add your own video background now. Random Name – Create a .txt file with all of your students’ names and upload it. Then this tool will randomly select a student. This same tool also lets you roll one, two, or three dice for a random number. Sound Level – Follow a few simple steps and allow the site to use your computer’s microphone one time. Then set the maximum noise level you want in the classroom. This tool will show a a red or green progress bar to help your class know when they need to get quieter. And it’s good to know that the site does not record any sound or save any of the noises. QR Code – This is a favorite resource of all the tools for the teachers I talked with. Type in a URL you want your class to access and it will automatically create a QR code for it. It’s so simple! Drawing Tool and Upload Image – Use this to bring up a drawing screen that includes simple pens and shapes and a graph paper background. Upload an image and annotate over it for everyone to see. Text – Insert a text box on your screen with basic word processing tools. This is great to use for simple instructions you want the class to follow. Work Symbols – This is one of my favorite resources. It pulls up a reminder for the students about how they are working in class today, whether it is in Silence, Whisper, Ask Neighbor, or Work Together. It’s a great way to set expectations. Traffic Light – Want to remind your students about their noise level? Bring up this stop light and tap on either green, yellow, or red to show them the current room condition. Timer – This opens a simple hour-glass timer that you can set for however long you want and it will count down. It also includes a lap timer and a stop watch, for PE teachers, as well as a loop function. Clock and Calendar – This is a simple clock that also shows the date. Exit Poll – This new feature allows you to edit an already-created sample poll with your own question. Students can then select one of the five face choices to indicate their responses. This could be done on an iPad or Chromebook as they leave the classroom. Access to the exit poll is through a new, small icon on the far right side of the screen; it is not in the tool bar across the bottom. All of the tools can be moved around the screen to wherever you want them, and you can have multiple tool windows open at the same time, even of the same tool. So if you have groups of students working on different things, each group can have their own widget. I’ve even heard of students who run ClasroomScreen on their own devices to help them stay on task or even using the Traffic Light to show their current understanding of a lesson or the status of their project. ClassroomScreen works best in full screen mode, which you can access in the bottom right-hand corner of the screen. I am really impressed with this resource, even though it’s simple, and would encourage you to try it out in your classroom today! This blog was updated with additional resources on July 26, 2018.